August 29, 1918 is a day that doesn’t have a holiday marked on it. No historical feats are rememberd on that day. The calendar by all accounts reflects this as just another day. Our household, however, holds that date near and dear to our hearts. 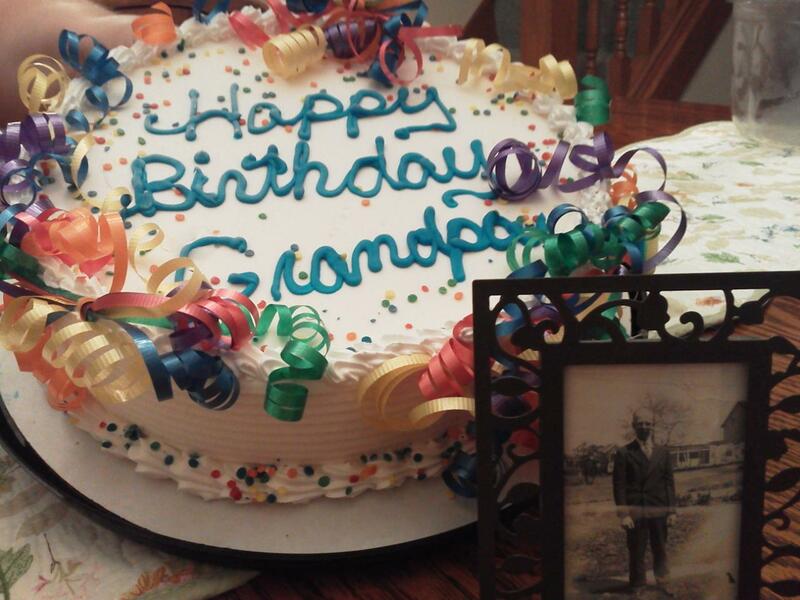 Today marks the 97th anniversary of Grandpa Eber’s birthday. It seems like only yesterday we were sitting next to him in our family pew at Midway Mennonite Church in Columbiana, OH. The dear gentleman attended this church almost his entire life. The days have been quickly passing by and it doesn’t seem possible that he has been eternally home with his Lord and Savior for almost four years now. Many things have changed in our lives since he went home. This past month was an especially crazy one for our household filled with the busyness that comes when you move house. 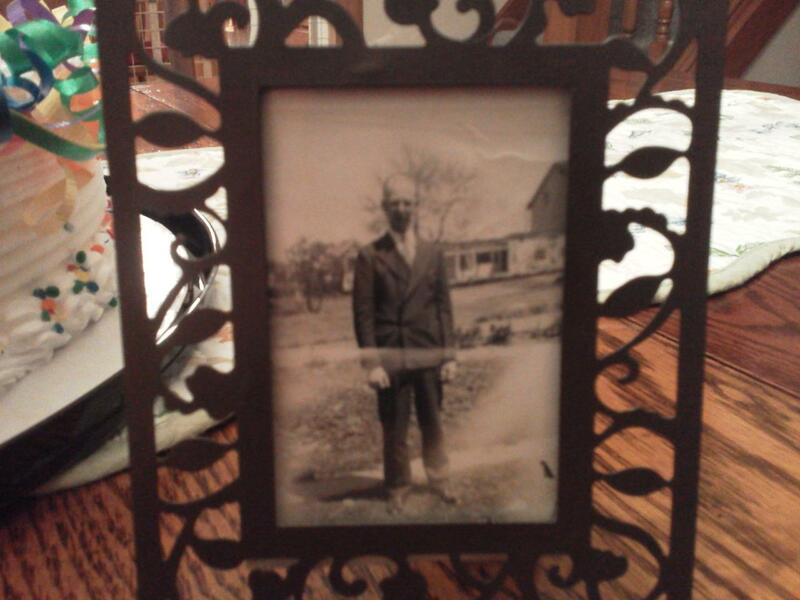 This new homecoming has been especially sweet as we are just down the road from the house Grandpa Eber grew up in. In a way, the prodigal son’s grandson has returned. Home here just feels right knowing we are walking and driving the same roads he once knew so well. We also cherish the memories of his hearty chuckle and the teasing twinkle he would get in his eyes. Treasured moments we think back on and we recall many holiday meals spent in his company. I will forever be grateful for his wise counsel that he gave on many occasions when we were riding in the car. You may listen in, but I’m talking to me, I marvel at all the things I see; beauty that meets the eye, I prize, may soon be gone, I realize. What a miracle is sight; the sunrise, and the sunset bright; and what we do between these two is surely up to me and you. But I could shut the beauty out if I live my life with fear, and doubt. Whatever the future I may face, may I live my life with faith and grace. How marvelous the sounds I hear; great music that I hold so dear. The sound of love from a friendly voice, life is so good, so I rejoice. Is a little silent gloating allowed? Of my family I am very proud; whatever their work, where-err their place, each one lives with style and grace. Here I have been talking to me, I marvel at the things I hear and see; and in my life may I applaud the greatness of our loving God. A man who found great joy in the beauty of God’s creation all around him, Grandpa Eber was always filled with praise and thanksgiving. If we could all see that same beauty that he saw in every thing and everybody, how blessed would our existence be? Thank you Grandpa, for your constant encouragement. Thank you for sharing your deep faith with me when mine was floundering. We will always have you close to us in our hearts and memories, and look forward to the day when we can here you say, “Weellll then, who goes there? Is it you? I hope it is you because it isn’t me!”, once more .